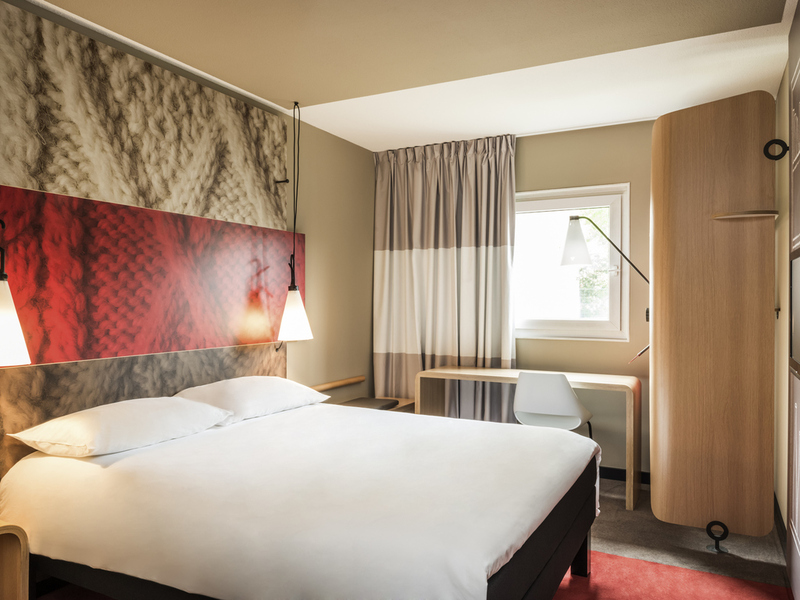 Welcome to the ibis Honfleur hotel. Our goal is to ensure you have a pleasant stay! The ibis Honfleur hotel is close to Honfleur town center, the fishing harbor, the Vieux Bassin port, the lieutenancy, Eugène Boudin museum, Maisons Satie and the salt halls. At the foot of the Pont de Normandie Bridge, you can admire Le Havre port in the Baie de Seine bay from above from Côte de Grâce and Mont Joli. Opposite businesses in Le Havre and close to Deauville and Trouville, the hotel has 60 rooms, free WIFI and business corner and free private car park. Bar Lounge snacks available 24/7.